Fresh, succulent Mussels in Wine Sauce are the perfect aperitif for any meal. Light, flavorful, and cooked in a delectable wine sauce that’s slurp-worthy. You’ll want some crusty bread to soak up all the savory sauce. 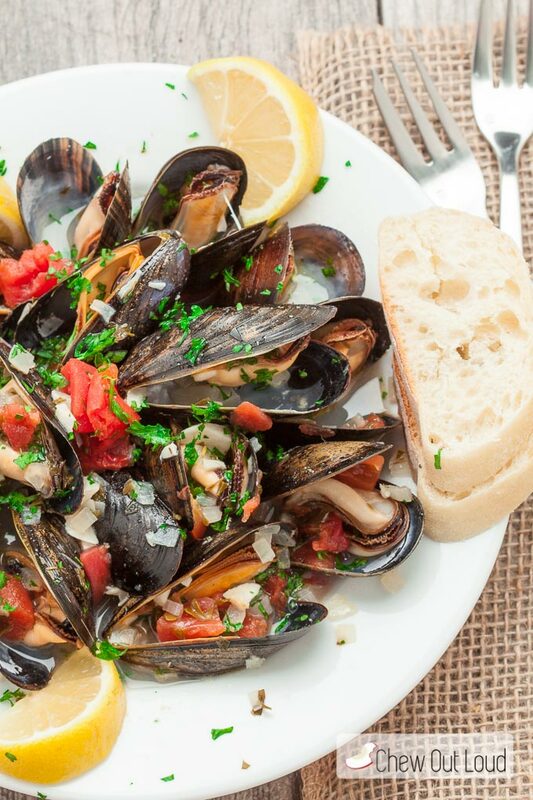 Even if you haven’t jumped on the mussel wagon yet, this dish might be a game changer for ya. The wine sauce is so delish, it just screams for some crusty, chewy bread for lapping up every last bit of sauce. Then. Throw in some olive oil, tomatoes, butter, and fresh herbs. We’re on our way toward foodie bliss. 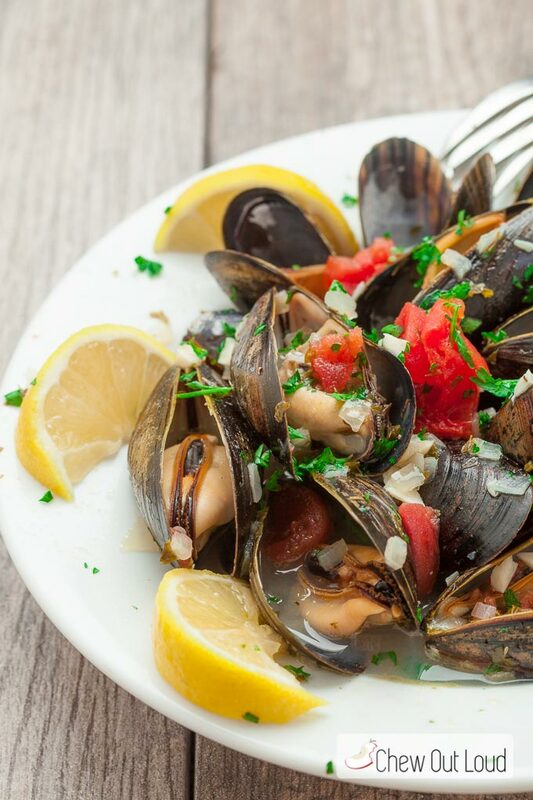 Soak mussels in water for 30 minutes to clean. Drain very well (excess water will affect broth.) Use fingers to pluck off the beard from mussels, if they haven’t already been removed. Discard any mussels whose shells aren’t tightly shut. Towel dry all cleaned mussels. Add the mussels, stir to coat, and cover pot. Cook over medium heat for 5-6 minutes or just until all mussels are opened, shaking a few times during cooking to distribute heat. Do not overcook. Once most of the mussels are opened, it is done. Immediately remove from heat. Use tongs to pluck out all opened mussels, placing them in a serving bowl. Discard any that never opened. Pour wine sauce with chopped veggies over the mussels. Sprinkle with freshly chopped basil. Serve immediately with fresh lemon wedges. Any time of year is a great time for Mussels in Lemon Butter Wine Sauce! This is the perfect appetizer or small plate. Succulent, savory, and light. The wine sauce is slurp-worthy. Be sure to have some thick crusty bread for sopping up all that goodness.